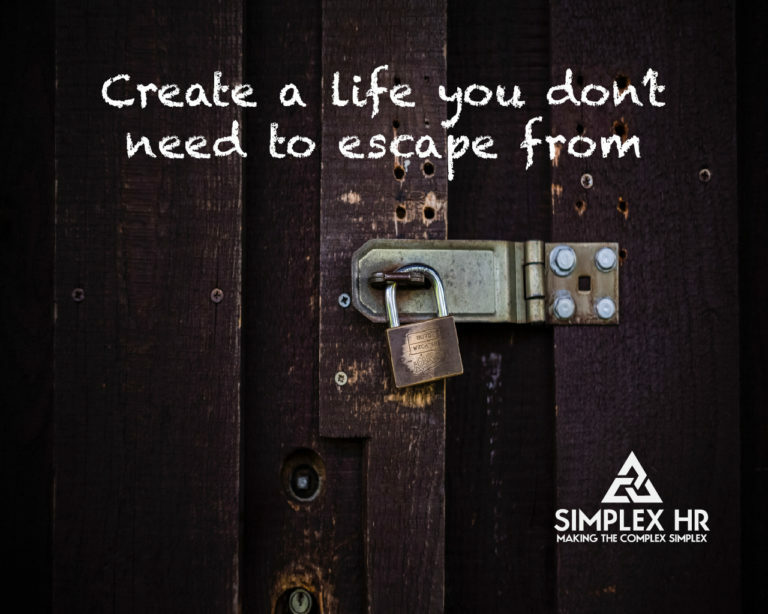 Imagine if it was possible to create a remarkable life you never want to escape? Have you ever found yourself in a rut? Have you ever been so busy checking things off your “to do” list only to find at the end of the day you have nothing to show for it? Do you follow the same routines day after day? Do you slog through the weekdays, pray for the weekend, and then dread going back to work on Monday? Do you fantasize about getting away? Escapism is an occurrence where a person seeks refuge from their daily existence. We have all experienced some level of escapism in our lives. Several years ago, like so many adults and parents, I found myself on the hamster wheel of life. I scurried furiously spending my time and effort “being busy”. When the weekends arrived, I was exhausted. I had no energy and no desire to do anything except catch up on sleep. I remember having a vacation planned to Key West. I counted down the days to that vacation, as people often do. The day finally came and as I packed my suitcase, my mind wandered to how great it was going to be to get away. I thought about how nice it would be to have zero responsibility for the week. I thought about how relaxing it would be to lay in the sun and how I would not have a schedule to adhere to. I even thought about the books I could read. Then it dawned on me. My excitement was not about going somewhere new and having amazing experiences or trying new things for the first time…it was about getting away and escaping from the life I was living. At that moment I realized, I had it all wrong. I was wearing myself out being “busy” and had nothing to show for it other than a long list of recently watched episodes on my Netflix account. I decided from then on, I was going to create a life I didn’t need to escape from. A life I could live one day at a time instead one vacation at a time. You may be asking yourself, is this even possible with all the demands life puts on us? Of course, it’s possible! It is unrealistic to expect to be living the dream every minute of your life. However, it’s possible to wake up every morning 7 days a week with a positive outlook, a spring to your step while you prepare for the day, and a smile on your face as you go to sleep. What if I told you that you were 5 simple steps away from creating a remarkable life you’ll never want to escape? These 5 steps helped me discover how satisfying life can be, each and every day. Don’t get me wrong, I’m still busy and I get stressed out at times, but I also get more enjoyment out of life. I still look forward to vacations, but when I go on vacation, it is to try new things, explore new places, and create amazing experiences and memories for myself and my family. For every problem, there are several solutions. Find the most appropriate and doable solution for you. Your spirits and confidence will lift with each step you take toward that goal and you will discover more enjoyment out of the things you used to dread. 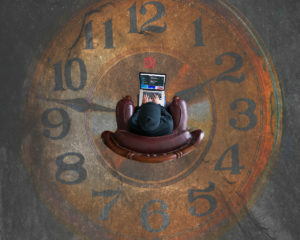 There are a lot of individuals who are trapped in the cycle of working during weekdays to the point where they are too tired to do anything but be a couch potato on the weekend. If you want to create a life you don’t need to escape from, then you need to maximize your weekends! You do not have to create a YOLO experience every weekend, but you should save some energy to do something you enjoy, besides sleeping or binging on Netflix. Ask yourself this question: what would 10-year-old version of you do that you haven’t done before? Then, go out and do it! The people around you affect your state of mind. If you are surrounded by toxic people who nitpick at the smallest thing instead of looking at the positive, you will end up doing the same. On the flip side, if you surround yourself with people who always look for the positive, you will be more inclined to see the positive but could be looking at the world through rose-colored glasses. As they say, there is a balance. Make it your mission to find people who think independently and challenge you intellectually. Surround yourself with the people who can find the positive, but still want to improve things. These are the people you can learn from and who can help you create experiences you see through a different lens. Find something you enjoy and take time to do it. Having hobbies will help you manage stress, and it will also bring you balance in your life by giving you something to look forward to whenever you are getting the urge to wander into your email dungeon. Who says you can’t bring your hobby to work? Find ways to incorporate the things you love into what you do for a living. Maximize your breaktimes to read, talk to your co-workers about great vacation destinations; join a recreational league, club, or an employee resource group dedicated to your passion. The more ways you can find to infuse your passions into your day to day, the more satisfied you will become. Studies continue to prove there is a strong connection between health and happiness. The happier you are, the healthier you become; the healthier your body is, the happier your outlook on life is. Focus on living a healthy lifestyle, whether it is eating healthier, giving up an unhealthy habit, getting more sleep, or being more active. When your body has what it needs, it functions properly, and you have more energy to do things you enjoy. So, eat your fruits and veggies, get your 8 hours of sleep, and take a walk…you’ll be happier you did. You do not need to have the perfect life or millions in the bank to create a remarkable life you don’t want to escape from. You just need to know the things you enjoy doing, make the most of what you have, and plan to free yourself from the things that stress you out.